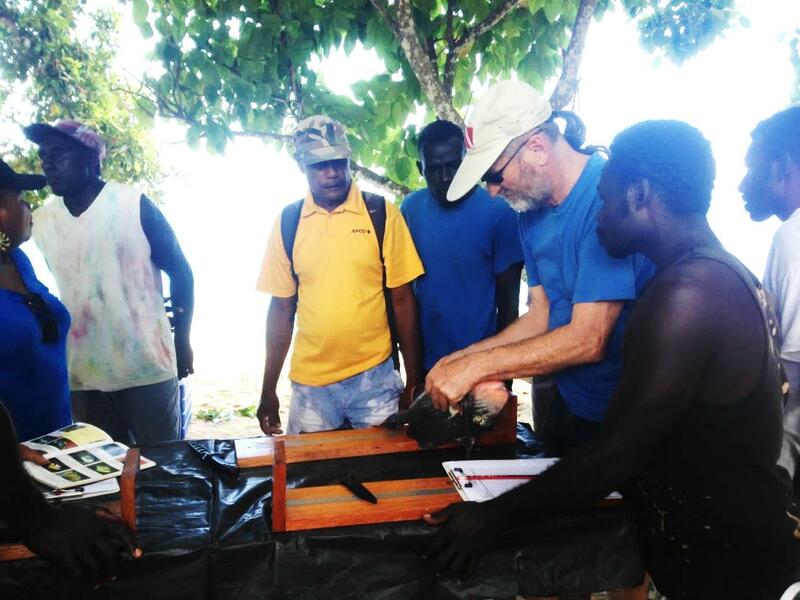 Through WWF-Solomon Islands’ Sustainable Coastal Communities Programme that supports community-based coastal fisheries management, fishers of Western Province are finding that many of the reef fish species targeted around Ghizo are being unsustainably harvested. This finding provides a warning that if effective management measures are not introduced many communities in the Western Province that rely heavily on reef fish as a source of protein, could follow other Pacific Island nations into becoming dependent on imported canned fish. 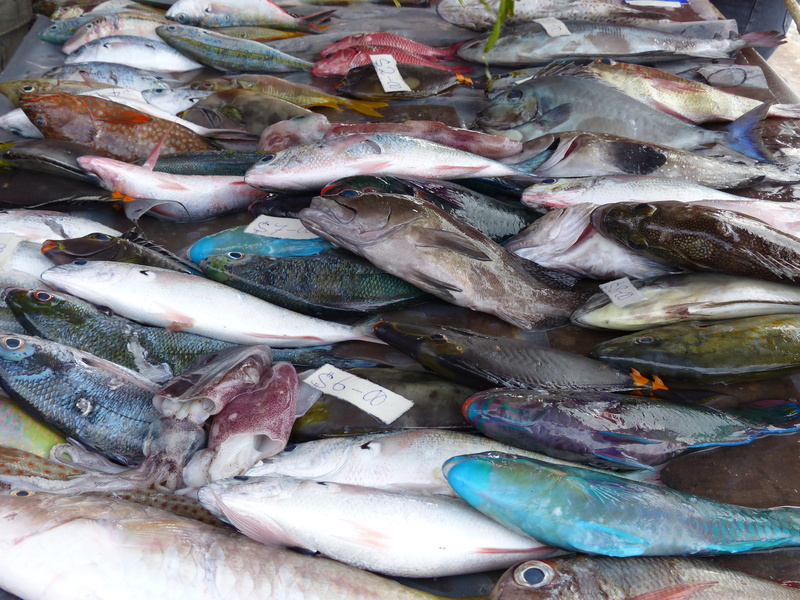 A recent publication estimates that by 2035, about 7,990 tonnes of extra fish will be needed annually to supply the population in Solomon Islands communities with enough fish based on current consumption rates. Declining local stocks threaten to make that gap between local supply of fish and demand even greater. A recent assessment of spawning potential of key reef fish by WWF-Solomon Islands and community fishers, indicates that important local fish species, such as striped surgeonfish (Berabera, Seki, Quere, Belafa), dash-dot goat fish, pinkear emperor (Sidau, Moua Halo) orange striped emperor (Sidau, Suru Akwaro), longnose emperor (Misu, Mihu, Ugwago), black streaks surgeonfish (Waliri, Seki, Bola) and other locally targeted species, are being caught before they complete sufficient breeding to sustain current stock levels and catches. If this situation is not changed by more effectively managing the fisheries, then some of our most important food fish species will become rare in the markets. International studies have found that many of the largest species, like bumphead parrotfish, humphead wrasse, and the larger groupers, are already locally extinct in several countries. Some Solomon Islands’ fish stocks are following this alarming trend. Since 2014, WWF has worked with local fishing communities around Ghizo Island to measure the size of key food fish and estimate the size at which each of these species begins spawning or breeding. To date over 6,000 measurements from more than 200 species of fish have been collected. Ten of the most important food fish species have been assessed, and the results show that six were below their replacement levels (20% of spawning potential), indicating that the species are in decline and in need of immediate management actions. Amongst these, the surgeon fish, parrot fish and rabbit fish, principally targeted by the night time spearfishers, are heavily impacted. Local communities have expressed their concerns to WWF about the decline of local reef fish resources observed by fishers over the last ten years. Local community fishers have told WWF that the assessments confirm what they already suspected about their fish declines. Communities are partnering with WWF and the Western Provincial Government’s Fisheries Division, to deal with these fish declines through community-based coastal fisheries co-management. The fish spawning survey work provides guidance on minimum size limits for these key species, which the communities can apply as one part of a broader community-based fisheries management approach. This will help ensure that fish are harvested at the largest possible size to allow sufficient breeding to occur before they are caught. WWF suggests communities need to think of the reef as their “garden in the sea” which needs tending, just like gardens on land. Choosing not to spear or catch small fish should not be thought of as a waste of food, but as a way of waiting for the fish, like a plant, to mature and become big and ripe. People often have a belief that the smaller the fish, the tastier it is, but for fish that normally grow large, this means we are taking them before they have started to breed. In our gardens, we must go through the process of planting and allowing the plants to grow, and in some cases to flower and fruit, before harvesting. It is the same on the reef. We should wait for fish to grow and start breeding, before we harvest them. WWF-Solomon Island’s Community-Based Fisheries Management work wouldn’t be possible with the generous support of WWF-Netherlands, Australian Government Aid; John West Australia; WWF-Australia, and the Regional Embassy Office (US State Department). WWF would also like to acknowledge Dr. Jeremy Prince for training WWF staff and local fishers to undertake these spawning assessments and to understand the implications of the results. WWF suggests communities need to think of the reef as their “garden in the sea” which needs tending, just like gardens on land.